Breaking Bad (R) is an American neo-western crime drama television series. The show originally aired on the AMC network for five seasons, from January 20, 2008, to September 29, 2013. 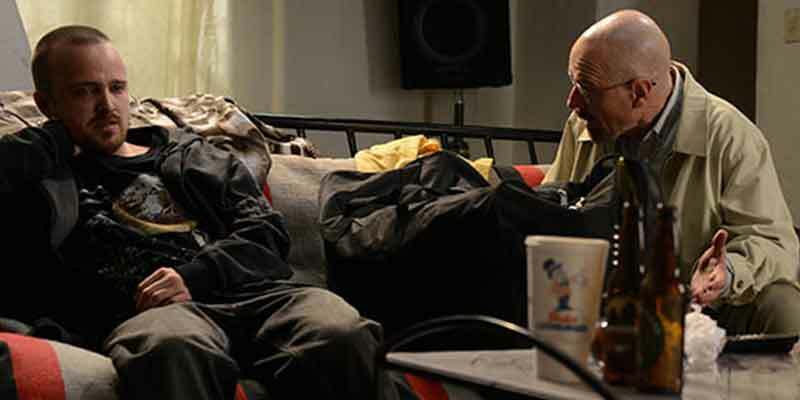 It tells the story of Walter White, a struggling high school chemistry teacher diagnosed with lung cancer. Together with his former student Jesse Pinkman, White turns to a life of crime by producing and selling crystallized methamphetamine to secure his family’s financial future before he dies, while navigating the dangers of the criminal world. 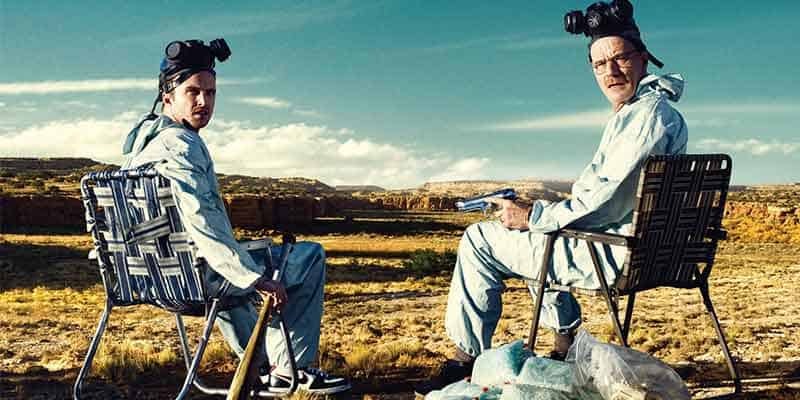 Breaking Bad has won 16 Primetime Emmy Awards, eight Satellite Awards, two Golden Globe Awards, two Peabody Awards, two Critics’ Choice Awards and four Television Critics Association Awards. Cranston won the Primetime Emmy Award for Outstanding Lead Actor in a Drama Series four times. Aaron Paul won the Primetime Emmy Award for Outstanding Supporting Actor in a Drama Series three times. Anna Gunn won the Primetime Emmy Award for Outstanding Supporting Actress in a Drama Series twice. In 2013, Breaking Bad entered the Guinness World Records as the most critically acclaimed show of all time. Breaking Bad originally aired on AMC. The TV show can be found the AMC streaming app. You can also watch all 5 seasons on Netflix. Netflix is an on-demand streaming service. Netflix lets you binge-watch entire seasons of Breaking Bad. This is a very inexpensive way to catch this amazing TV show as plans begin at $7.99/month. To learn more about this service read our Netflix review. This TV show can be found on just about any streaming device on the market. You can stream on a tablet, smart phone, gaming console, desktop, or a streaming device such as a Roku, Apple TV, Chromecast, AirTV, Amazon Fire TV, and more. Here are some of the top devices that can be used to access one of the services that carry Breaking Bad. To learn more click on the icons below or read our streaming device guide. 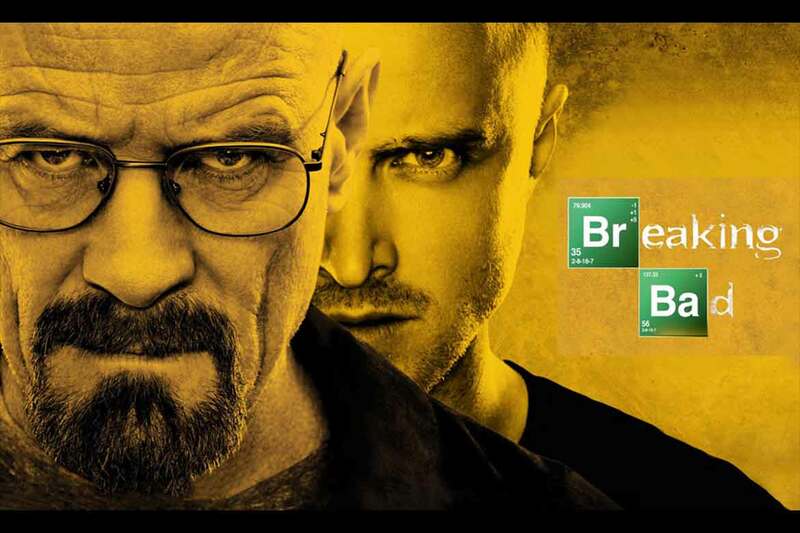 Breaking Bad can be streamed using a VPN. A VPN can unlock content from services such as Netflix. You can also use a VPN to bypass blackout restrictions and geo-blocking. A VPN will increase your online security and protect your online devices. This is very useful in the United States but is even more useful internationally. By using a VPN you can view this TV show while in another country. Not every VPN is created equally so we have chosen a few that we believe to be the best VPNs to pair with streaming services such as: ExpressVPN, NordVPN, and CyberGhost VPN.